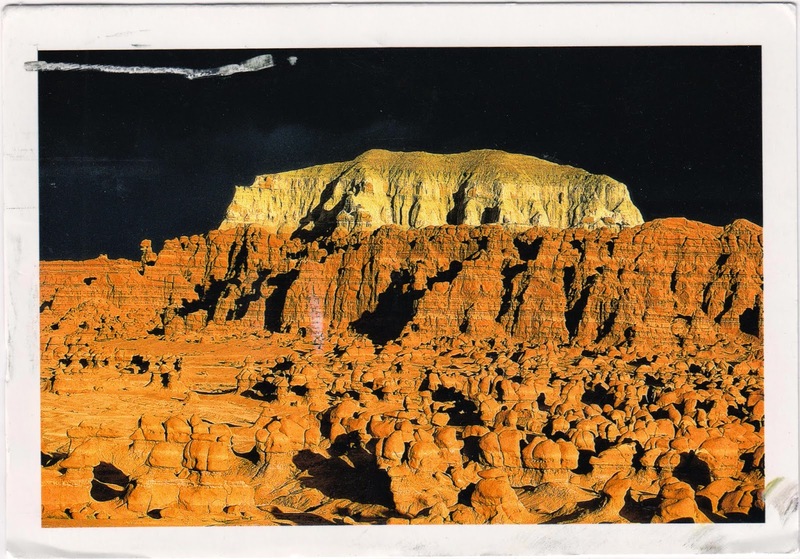 Postcard DE-3022284 from Germany shows Goblin Valley State Park in Utah, USA. It is noted for thousands of hoodoos and hoodoo rocks, known to locally as “goblins”, which are formations of mushroom-shaped rock pinnacles, some as high as several meters. Those distinct shaped rocks are results from an erosion-resistant layer on top of softer sandstone. The park is about 400 miles or 644 kilometers from Las Vegas.